I recently started and then DNF’d two ARCs I received on Netgalley. Part of me felt guilty for DNFing these ARCs, but then I realized, why am I feeling guilty? The publishers sent me these books for an honest review. And honestly, I did not like the book at all to the point of not even wanting to read it any more. So I wrote a quick review to add to Netgalley about why I DNF’d it and then I put it on Goodreads. That was that. But the whole idea of DNF’ing ARCs was still in my mind days later, which is why I’m posting this quick discussion on it. What do you think about DNFing ARCs? It usually takes a lot for me to DNF a book anyways. I even wrote this post about how I try not to DNF books. But sometimes there are just those books that you can’t keep reading. 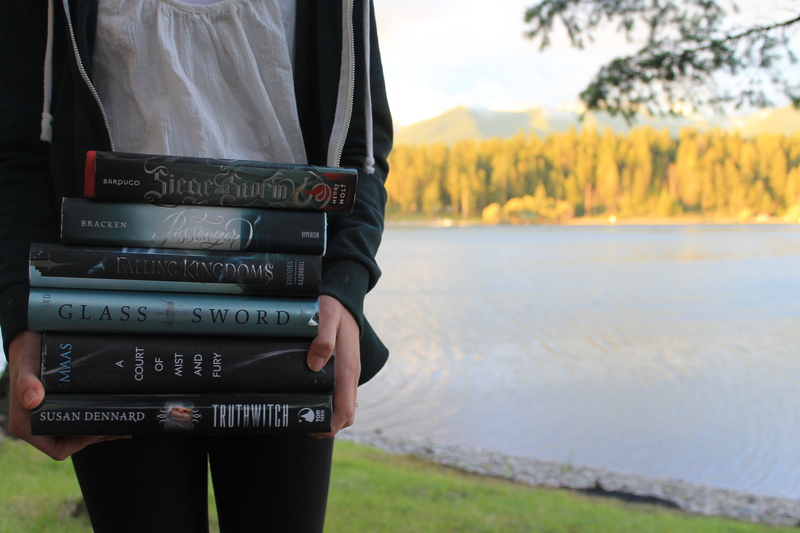 And sometimes those books are ARCs. When reading ARCs, I judge them the same as any other book. So if I were reading these books after their publication dates, I still would have DNF’d them anyways. That’s basically my whole opinion on DNFing ARCs. Just do the same you would do if you were reading it like any other book. Don’t feel guilt over it (like I did at first) because the publishers are asking for an honest review. Don’t try and like a book just because they sent it to you. They expect honest reviews anyways. If you don’t like a book, that’s fine. The two ARCs I recently DNF’d were Sophie Someone by Hayley Long and Blood Rose Rebellion by Rosalyn Eves, so I’ll be sharing mini reviews for both of those as well. Summary from Goodreads: What if you found out your life has been threaded with secrets — ones that rocked you to your core? An affecting page-turner written in a brave, memorable language all its own. Some words are hard to get out of your mouth. Because they spell out secrets that are too huge to be spoken out loud. But if you bottle them up, you might burst. So here’s my story. Told the only way I dare tell it. Sophie Nieuwenleven is sort of English and sort of Belgian. She and her family came to live in Belgium when she was only four or five, but she’s fourteen now and has never been sure why they left England in the first place. She loves her international school, adores her friend Comet, and is protective of her little brother, Hercule. But it’s hard to feel carefree when her mom never leaves the apartment — ordering groceries online and blasting music in her room — and her dad has a dead-end job as a car mechanic. Then one day Sophie makes a startling discovery, a discovery that unlocks the mystery of who she really is. This is a novel about identity and confusion and about feeling so utterly freaked out that you can’t put it into words. But it’s also about hope. And trust. 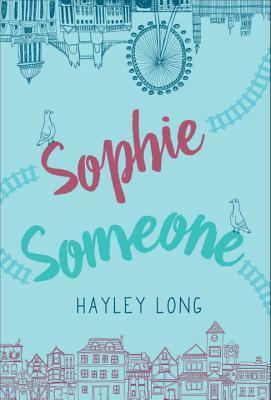 And the belief that, somehow, everything will be OK.
Sophie Someone is a tale of good intentions, bad choices, and betrayal — and ultimately, a compelling story of forgiveness. I DNF this book at page 60. Why? I couldn’t take the writing style seriously. Half the time I had no clue what they were even talking about because all the words were mixed up. All of a sudden hashtag means head and parsnips mean parents? It just made it ever more confusing. I didn’t really know much about this book going into it, just that it had to do with England and Belgium (hence why it interested me in the first place). I’m glad I didn’t have any expectations going into it because it ended up being very terrible. I don’t normally like DNF’ing books either, especially at the beginning. But when I can’t even understand what the characters are saying, I think that’s a sign that the rest of the book won’t work for me. So, I just stopped reading it. And honestly, I’m glad I did. I couldn’t take another single of these weird, random words. This book seemed to work well for others though, so I mean if it sounds like your kind of thing, go ahead and read it. It just really wasn’t for me. I was so confused the whole time to the point of I could no longer stand it. Summary from Goodreads: The thrilling first book in a YA fantasy trilogy for fans of Red Queen. In a world where social prestige derives from a trifecta of blood, money, and magic, one girl has the ability to break the spell that holds the social order in place. I hate to say this, but I actually ended up DNFing Blood Rose Rebellion, which makes me so sad. While I had high hopes for this book, it just didn’t deliver.I had such high expectations for this book, but I guess I should’ve known not to. The fact that this book is set in 19th century Hungary really got my attention. It also ended up being the only part of this book I even slightly liked. But it was overall just so boring and confusing, and the main character was incredibly obnoxious on top of all of that. So yes, I did end up DNFing this one. This book starts off with our main character, Anna, sneaking out to her grandmother’s garden to kiss a boy who is also courting her sister. And of course, Anna believes that she is in love with them (*eye roll*). Meanwhile, her sister is having a party but Anna wasn’t invited because her magic always leads to disaster or something like that. So she breaks her sister’s spell and her whole family is furious. Oh and everyone found out about her kissing the boy her sister was supposed to marry. It drags on for like 50 more pages and then Anna is sent to Hungary so the “Circle” (who I think are the Luminate leaders? not entirely sure) cannot find her. Like I said, the main character, Anna, really bothered me. She was barren, meaning she had no Luminate powers. Of course, she was super whiny about this and just obnoxious. Like okay we get it, you don’t have any powers, just keep complaining about it. So the only thing I really liked was the setting. It started off in England and then moved to Hungary. But at the same time we didn’t really see much of the setting. I was hoping for a lot more setting descriptions honestly. There was one part where she said they went to Vienna, but that was all. Nothing at all about vienna other than that they went there. So ya know, kind of dissapointed. The writing was alright. It wasn’t really bad but it wasn’t that great either. I feel like the author just didn’t do a great job at kind of embracing her world? That makes absolutely no sense, I know. But she just didn’t really do a great job at encompassing the world. Again, no sense. Sorry. Overall, I did not like this book at all. To the point that I ended up DNFing it, which makes me sad. But oh well. I didn’t like the characters and the story was really boring. Have you DNF’d any ARCs before? What are your thoughts on it? Or just DNF’ing books in general? Let me know below! I have DNFed multiple ARCs, and in the beginning, I did feel a bit guilty. I reasoned that finishing ARCs was a good thing because then I could rant about it and it would be fun. But, it’s time consuming. And I can still rant about books I’ve DNFed. And yeah, I really don’t owe publishers anything. They can’t force a positive review from me! Aww sorry to hear about Blood Rose Rebellion though! I was kind of looking forward to that! I’ve started to become more comfortable with DNFing books but I still have a tinge of guilt for giving up on a book. I’ve never DNFed an ARC but I agree that publishers are expecting an honest review and if you can’t finish it, there’s nothing wrong with that. Great discussion!!! I think it’s okay to DNF ARCs. I mean, we try to pick books we think we will like but it doesn’t always work out. If people are just requesting books left and right with no judgement, then that can be a little iffy. Otherwise, I think it’s fine. I’ve done it before. I usually just make a note to the publisher (or whoever gave it to me) to let them know! I DNFed Blood Rose Rebellion, too. I felt pretty guilty about it at first, so I tried to keep going, but I just couldn’t do it. I thought Anna was really annoying, too, and I thought the plot was just really boring. I agree that you shouldn’t feel guilty for DNFing ARCs. I’m not really a DNFer in general, but there have been a few books I’ve received as review copies and once I started reading, I realized after 5 or 10% they just weren’t working for me, so I emailed the publisher and told them I wouldn’t be reading or reviewing the book for that reason (since I don’t review books unless I finish them). Neither publisher had an issue with it and just thanked me for letting them know. I feel super guilty for DNF-ing ARCs! I try to do it as rarely as possible, but sometimes I just have to throw in the towel and say ‘nope.’ I know how lucky I am to receive even one ARC, so I really want to do my best to honor that agreement and read through, but it just isn’t always viable to do so. I don’t think you should feel guilty for DNF-ing ARCs — or any book, for that matter — so long as it’s not like we’re DNF-ing every ARC. Life is way too short to read books we don’t like! I do worry about possible negative repercussions from publishing houses for DNF-ing books, though I’m not sure if they really pay m uch attention. 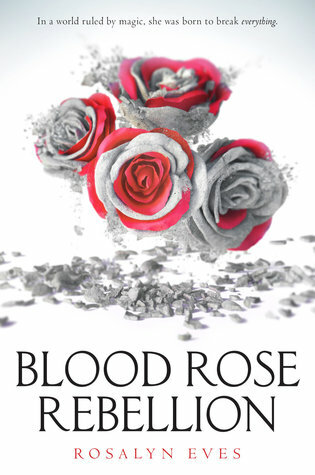 I’m actually in the middle of Blood Rose Rebellion and am having a confusing time: half of me is really intrigued and wants to keep reading, but the other half is SO annoyed with the main character and just really wants to put it down. We’ll see how it goes! Great post! Oh, yeah, sometimes I definitely feel guilty for DNF-ing an ARC. I’ve Done it three times, and I feel bad every single time I do it. It’s usually because the book is too slow, and I’m not interested in what’s going on. I saw so many people DNF-ing Blood Rose Rebellion, and I decided to join them. I didn’t see too many favorable reviews from those who finished it, so I don’t feel TOO bad. But now I feel like Random House won’t approve the two other ARCs I requested that I REALLY want because of the DNF though.